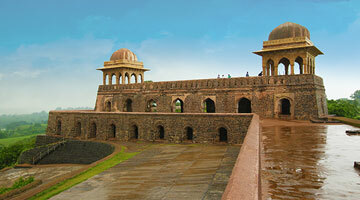 Madhya Pradesh is the heart of India. It’s here that one stumbles upon the earliest traces of mankind’s beginnings in man-made caves, adorned with paintings dating back thousands of years. 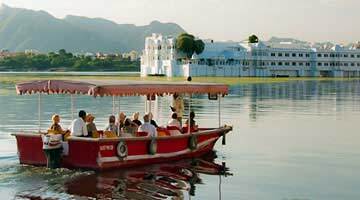 Visit this fascinating state with Madhya Pradesh heritage tours, and discover a world of art, culture, wildlife, history and archaeology. Stay in heritage properties is going to be one of the highlights of these packages. Come face to face with India’s glorious history at Sacred Sanchi, one amongst the many historical places of Madhya Pradesh. Then, witness grandeur on a large scale at the historic town of Orchha, where architectural marvels like Laxmi Narayan Temple and Jahangir Mahal await you. 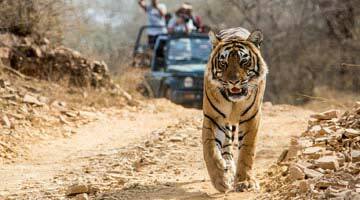 Visit Bandhavgarh National Park with Madhya Pradesh tour, which has the highest density of tigers in the world. Head to Pench National Park, the inspiration behind “The Jungle Book”, or go to Kanha National Park. Your heritage tour of Madhya Pradesh is incomplete without visiting Khajuraho, a UNESCO World Heritage Site. 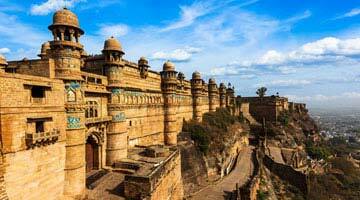 Another glimpse of that glorious heritage is visible at Hilltop Fort in Gwalior, described as a “pearl among fortresses in India”.